You know, those appetizer recipes that once you have them in your arsenal, you feel like you can take on any party or potluck? 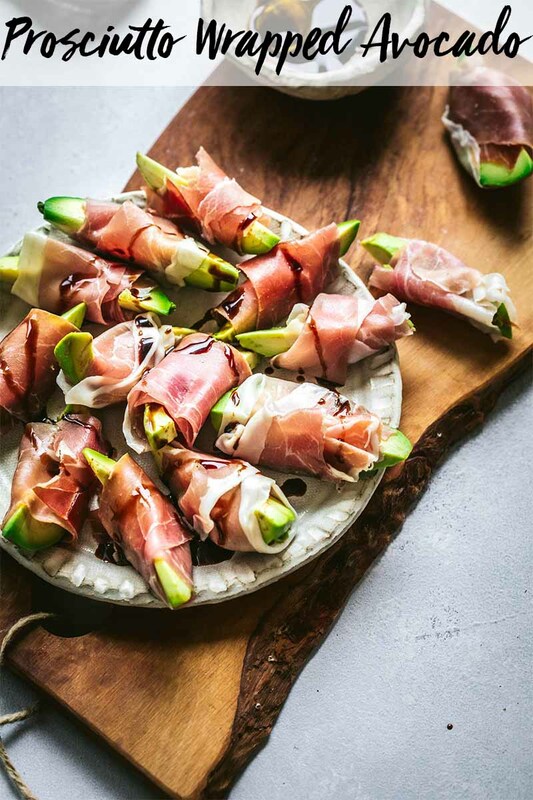 These Prosciutto Wrapped Avocado Bites make the perfect party appetizer. Why? They take all of ten minutes to make. You only need three ingredients. There’s no need for serving utensils or toothpicks. Just wrap them up and serve. 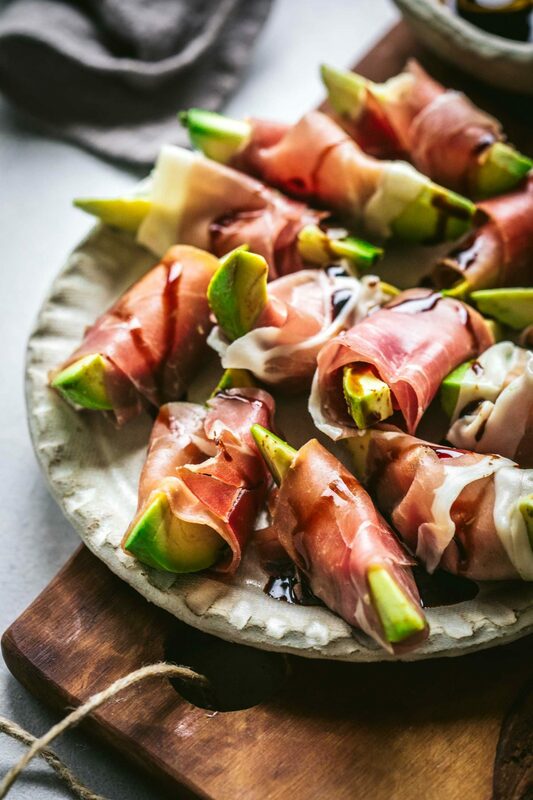 In reality, you don’t need a recipe for these Prosciutto Wrapped Avocado Bites – But I gave you one anyway! Just grab a couple avocados, some sliced prosciutto, and some balsamic glaze. I always seek out Prosciutto di Parma when I’m buying prosciutto.If you’re buying pre-sliced you’ll notice the gold crown on the label which ensures that it’s from North-Central Italy. Otherwise, you can also find it at the deli counter in many grocery stores. Prosciutto di Parma producers take their time to craft the best prosciutto. It’s buttery and salty yet surprisingly delicate. Prosciutto di Parma helps you add a slice of life to everyday occasions. It’s perfect for making an appetizer feel extra special, but it’s also perfect for everyday snacking… I tend to have a couple packages in my fridge at all times. 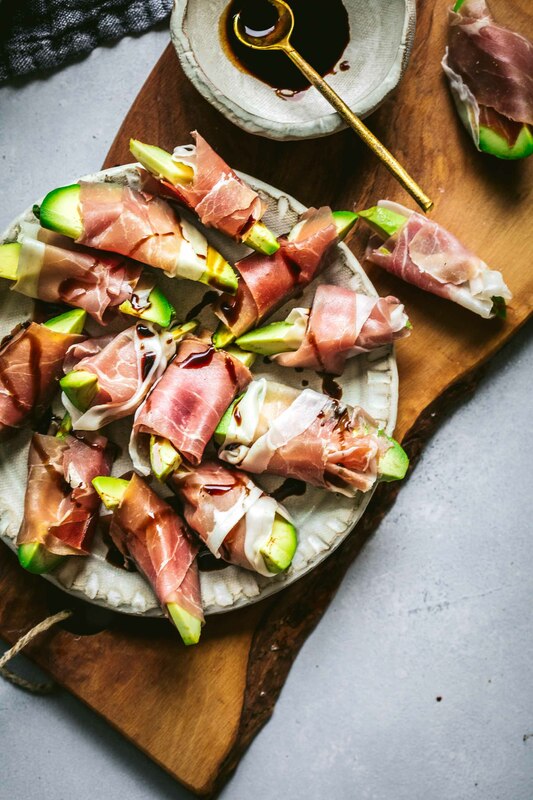 To make these prosciutto wrapped avocado bites, I cut each avocado in half, remove the pit, and then cut each half into 4-wedges. Then, I cut each slice of prosciutto in half lengthwise and wrap then around the avocados. To finish, I drizzled on a balsamic glaze. To make things extra easy, I purchased the balsamic glaze premade in the grocery store. However, you can also make your own if you’d like, using this recipe. Or, you can make things extra simple by leaving the glaze off entirely and just sprinkling each avocado bite with some coarse salt. How Do You Make Balsamic Glaze? To make the balsamic reduction, bring 1 cup brown sugar and 3/4 cup balsamic vinegar to a boil and then let it reduce until it becomes thick and syrupy. This will take about 20 minutes. Do you have a go-to appetizer that you serve at parties? A dish that you’re always requested to make at potlucks? I’d love to hear your favorites in the comments below! Plus – Be sure to enter to win $500 from Prosciutto di Parma. Details below! 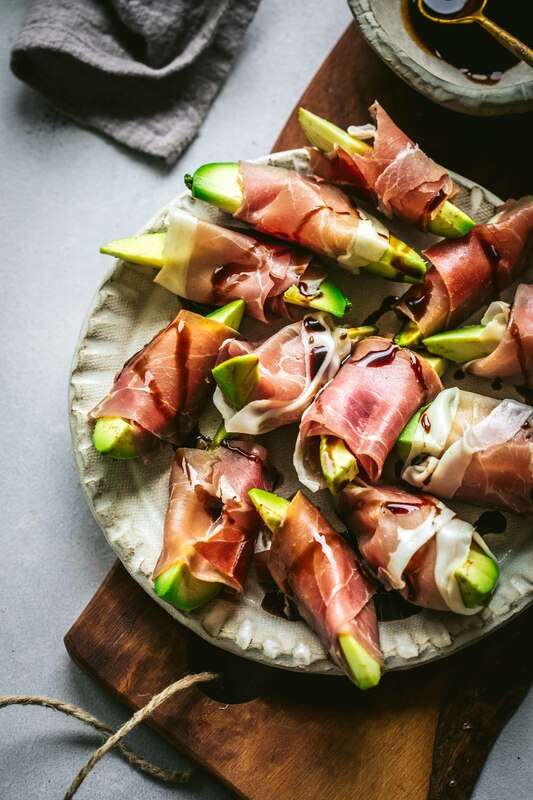 Prosciutto Wrapped Avocado Bites are the perfect party appetizer. They're an easy to make, no-bake finger food and come together in under 10 minutes! Wrap each avocado slice with half a slice of prosciutto. Drizzle with balsamic glaze. Serve. 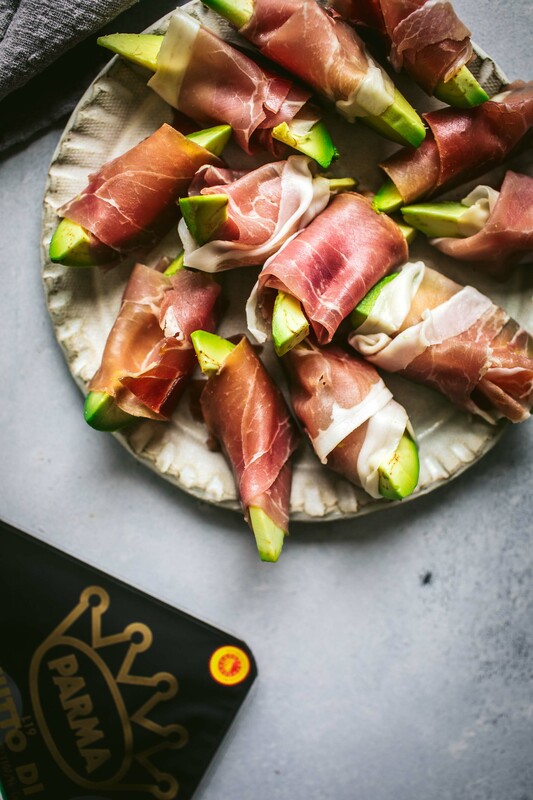 If you loved these Prosciutto Wrapped Avocado Bites I would appreciate it so much if you would give this recipe a star review! Also, be sure to snap a picture of your finished bites and share it with me on Instagram using the hashtag #platingsandpairings and tagging @platingsandpairings and @ParmaHam_USA. 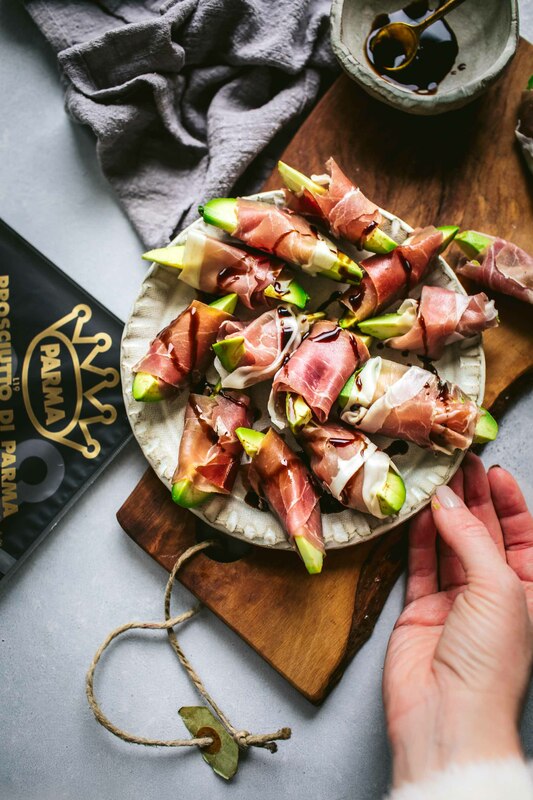 I teamed up with Prosciutto di Parma to bring you this post. As always, all opinions are my own. Try pairing these bites with a zesty white wine like a Sauvignon Blanc or a Pinot Gris. Their mouth-watering acidity will help cut through the sweetness and fattiness of the prosciutto and avocado. Bubbles make a fun pairing – Try cava, prosecco or champagne. 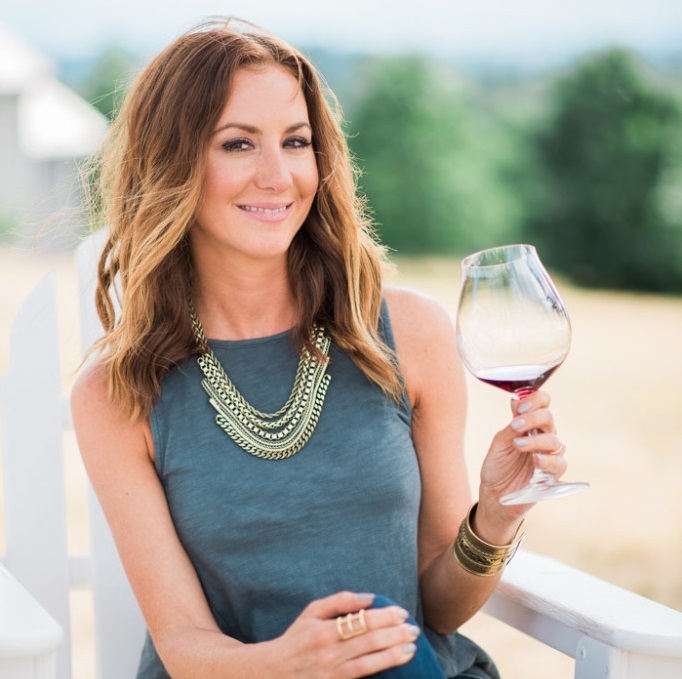 Here are 5 budget-friendly sparkling wines. I seriously love avocado, and I love how it becomes finger food here – without going all messy and slippery on you! Yum! I feel like I need to have a Pinterest board dedicated to your recipes— they all look so good. These sound so delicious and easy! Pinning for my next appetizer need! I hope you love them Kelsey!